Don’t you just LOVE that Facebook added the “On this day” app? You can click on it and see everything you posted on that exact day 1 to 8 years ago. On this day 3 years ago a picture of my boys Wilson and Levi (1 month and 2 at the time) popped up. My heart sank because the reality of time passing quickly slapped me in the face. I could almost smell that newborn scent and see Wilson’s eyes light up when he looked at his new baby brother. My husband Ryan was a corporate pilot and traveled back then, so I was raising our boys alone. He never was able to eat breakfast with them or tuck them in at night. I will never forget feeling overwhelmed during those sleepless nights and wondering if I would survive. The bags under my eyes and my caffeine consumption were clear indicators that I had turned into a zombie. I remember calling my mother in law in panic mode to come help me. 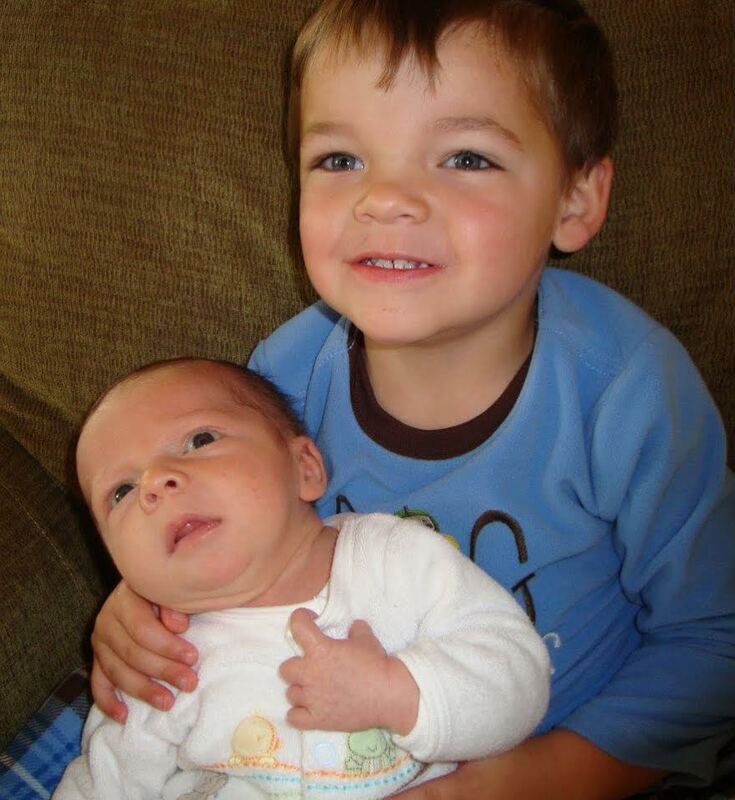 There were some sweet times watching my oldest Wilson become the big brother and rocking sweet Levi to sleep each night. I thought my heart might explode with LOVE as each day passed by quickly. Time Hop has a great way of forcing us to reflect on the past. Some of those memories I wish I could bottle up and save forever but some I have tried to block out completely. The screaming baby, exhausted toddler, and clueless mom were a recipe for disaster. But God sustained me during those days and seeing that picture makes me reflect on the “sweetness” of those moments. I didn’t know God’s provision but I trusted HIM. In 3 years God has blessed us to the point where it’s overwhelming to think about. My husband and I work from home and now he can “fly” because he wants to and not because he has to. He now knows what our boys like to eat for breakfast and can help me navigate through a 4 year old’s mind. As we end another year and begin a fresh start I have to ask myself, what will my time hop picture be this time in 2 years? What will I do in the next year that will show the Love of God to my family and friends, live out my purpose, and ultimately move my family forward in life? Even though Time Hop shows us what our memories were in the past we can decide TODAY if we will TRUST GOD for the future.